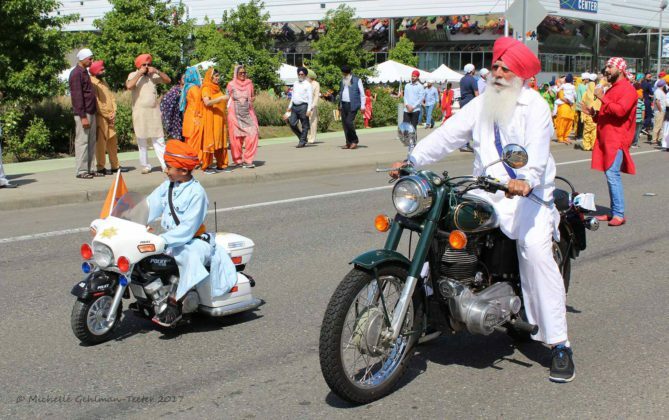 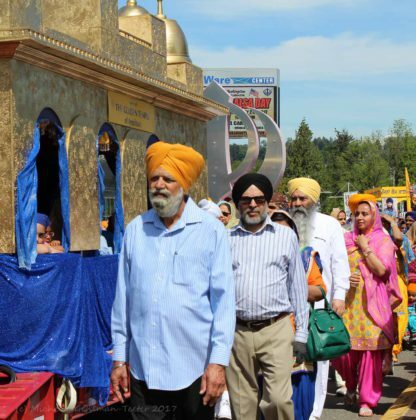 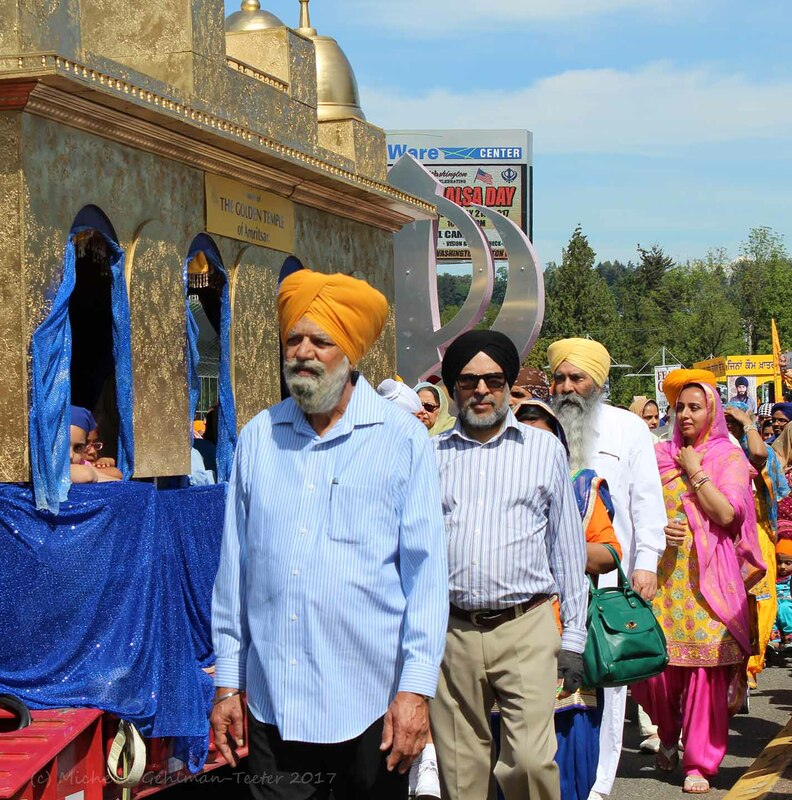 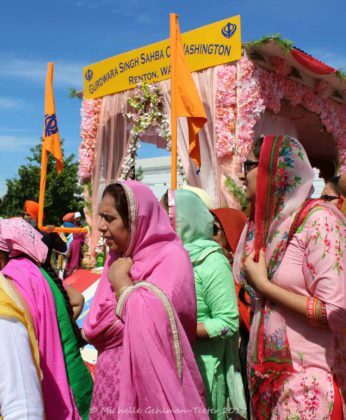 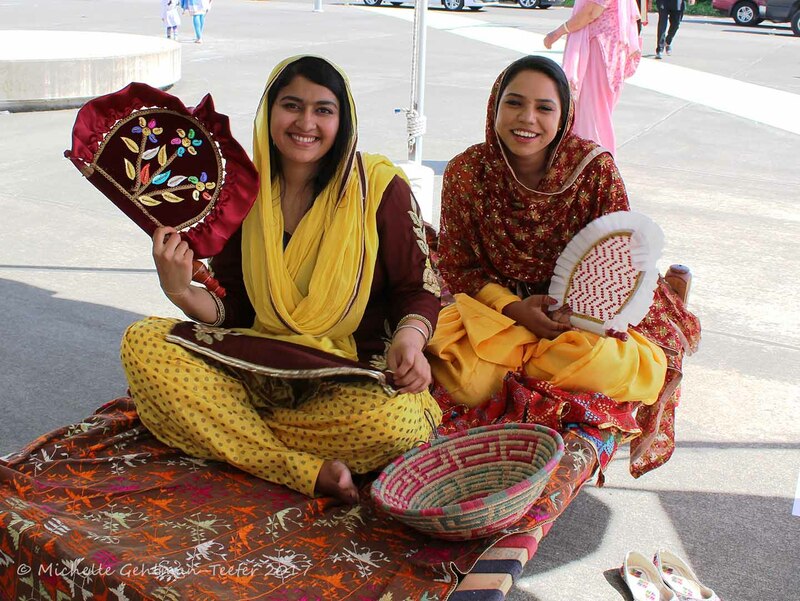 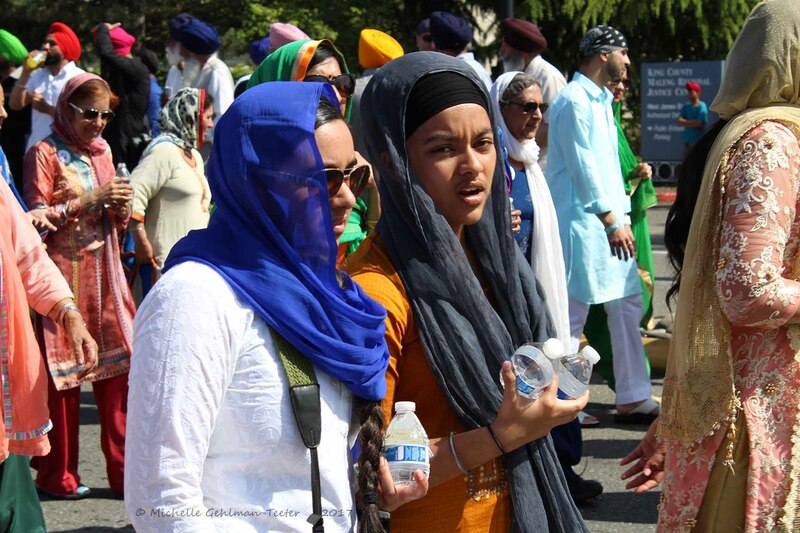 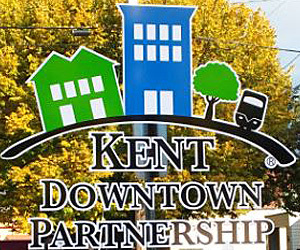 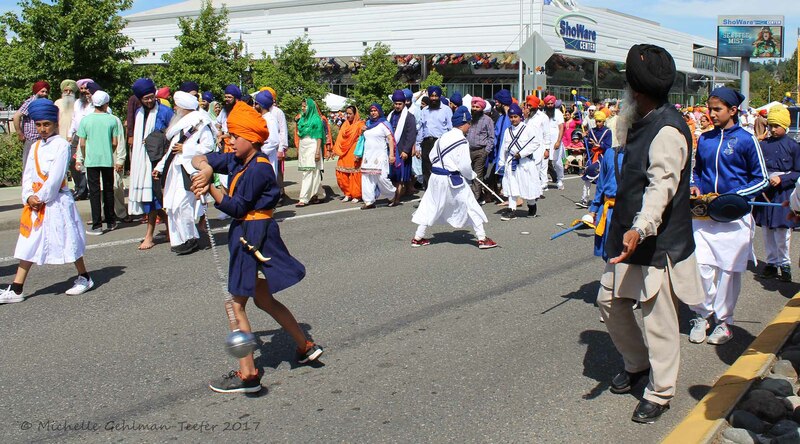 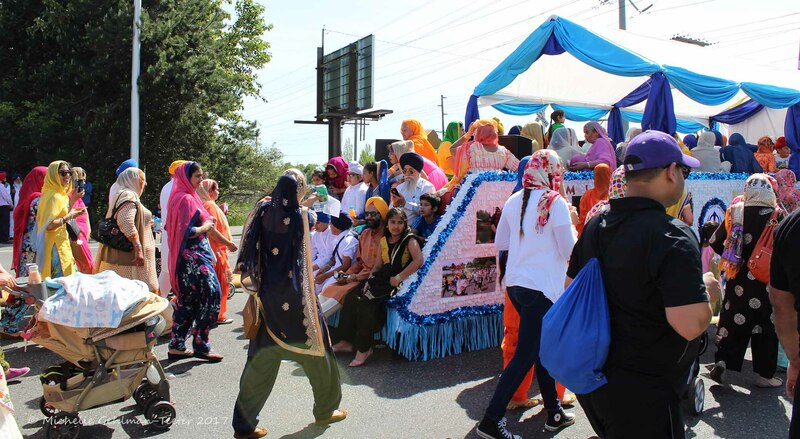 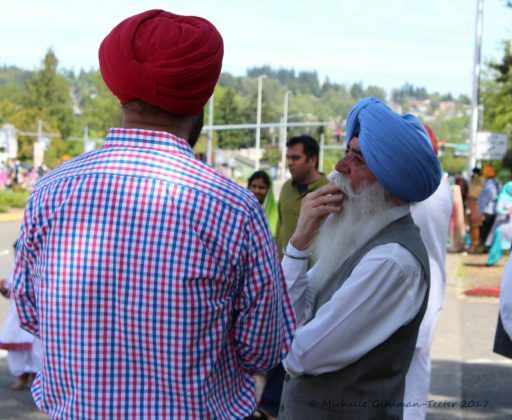 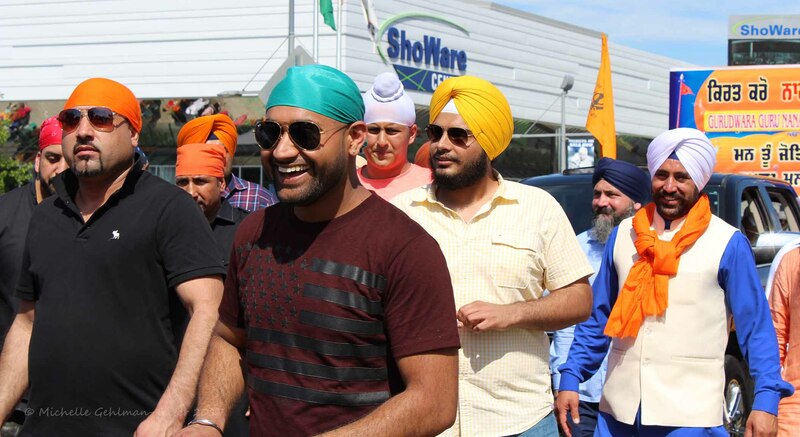 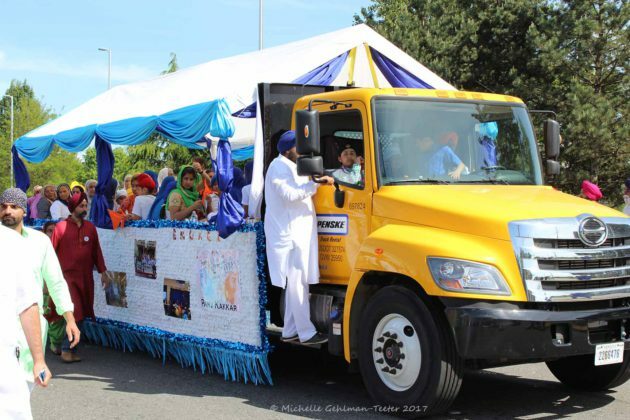 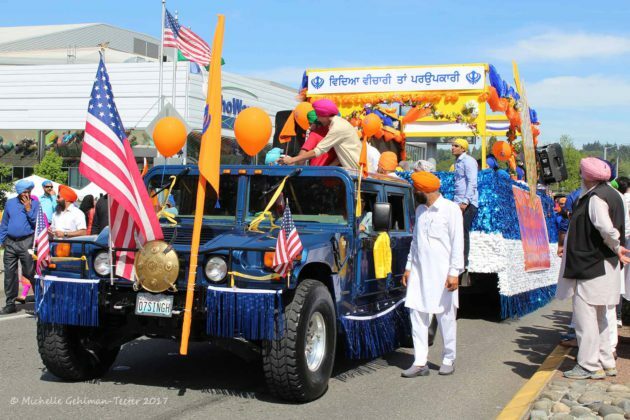 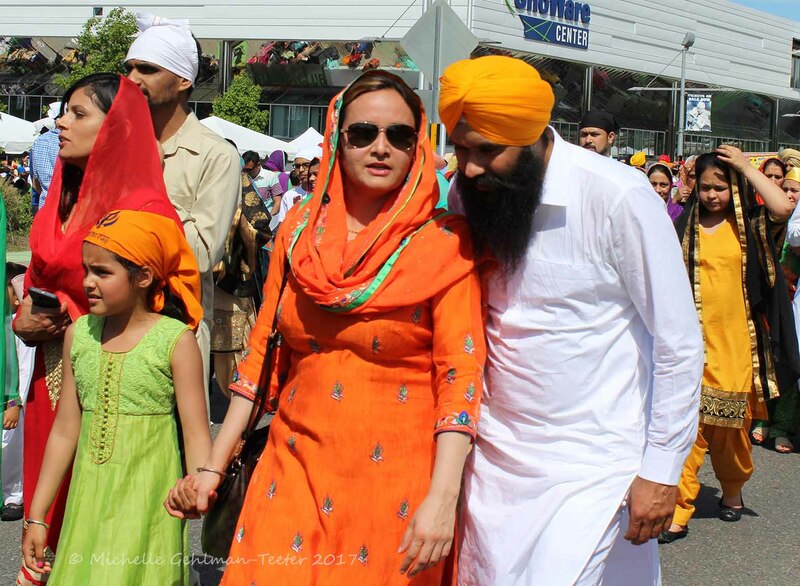 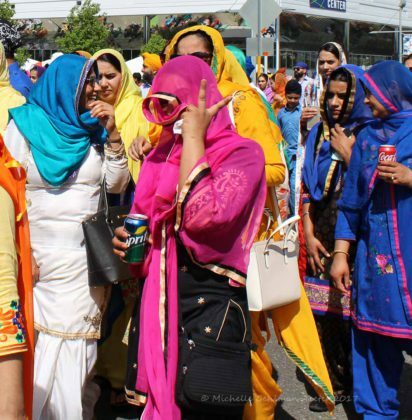 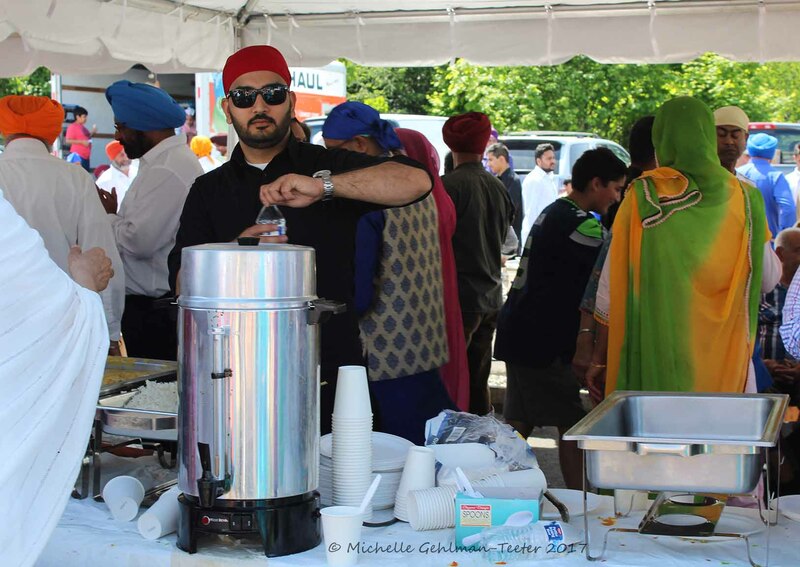 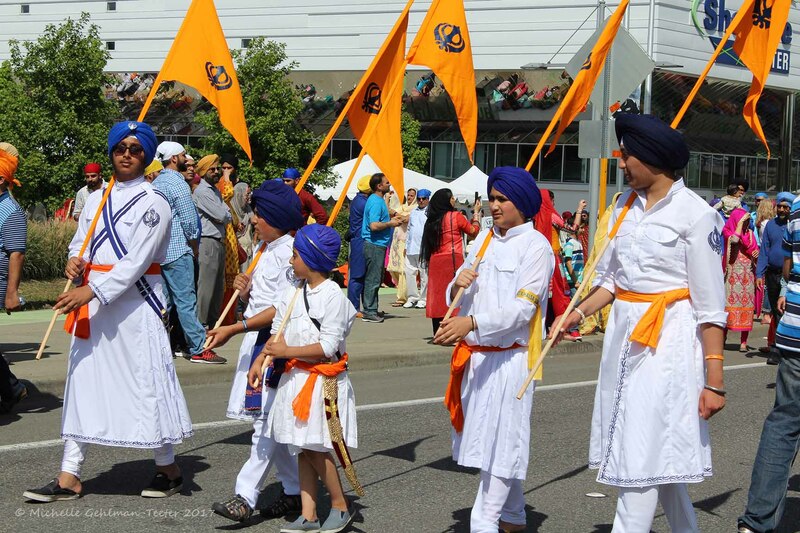 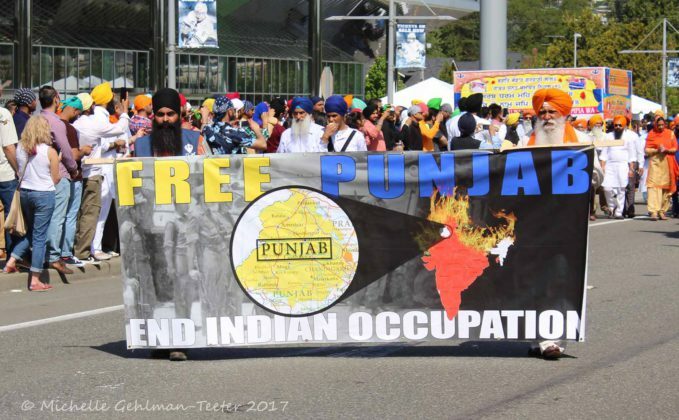 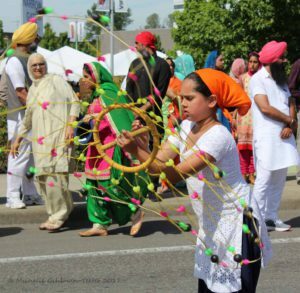 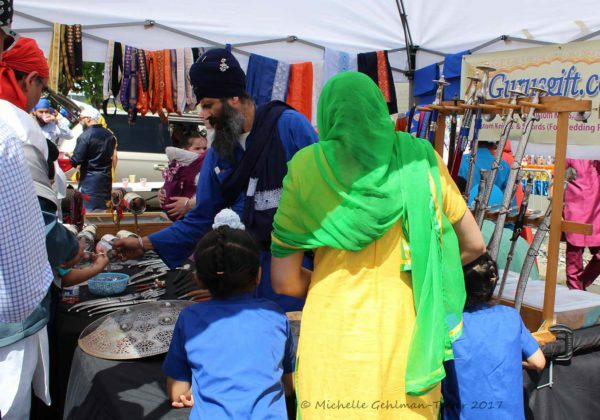 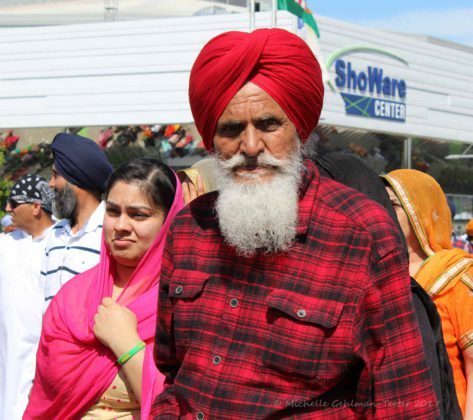 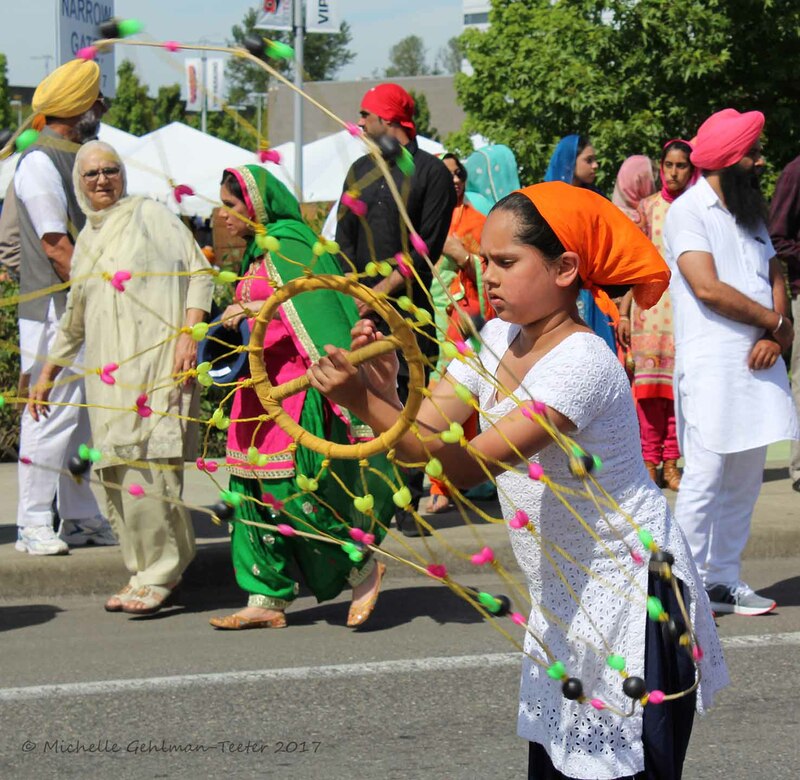 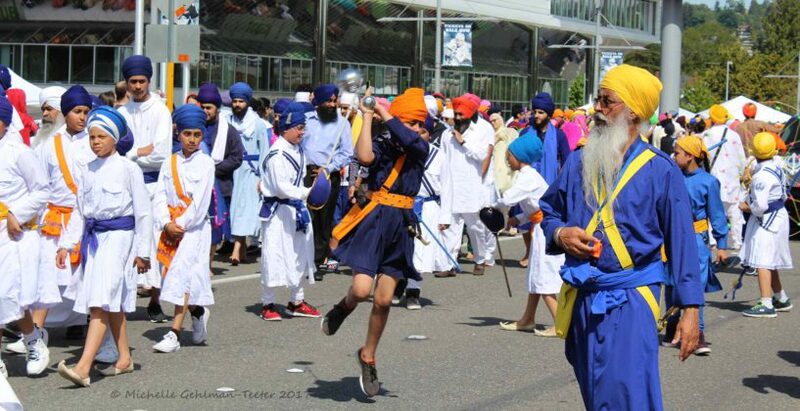 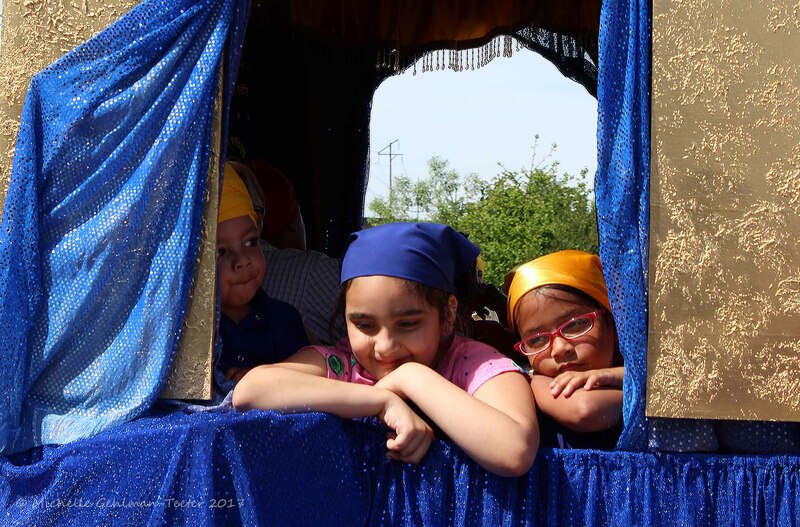 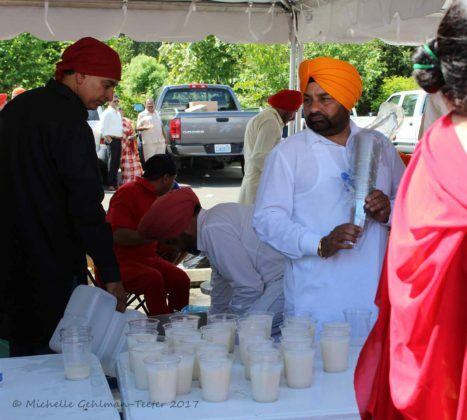 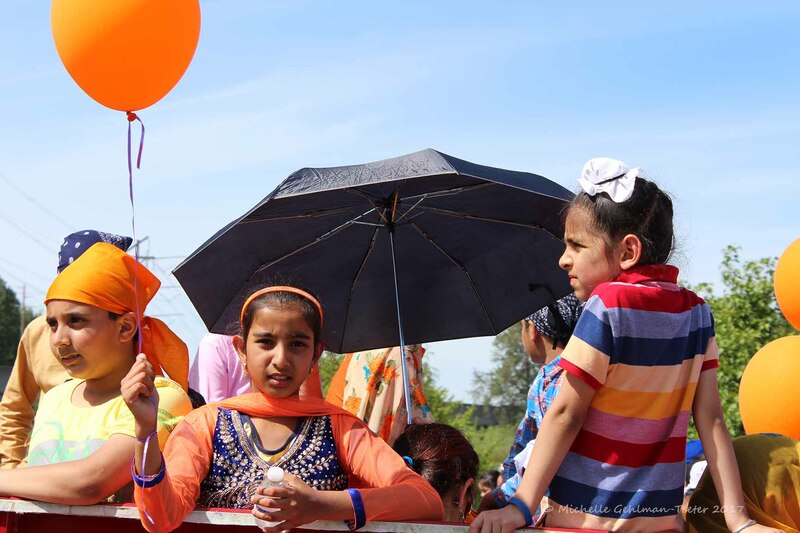 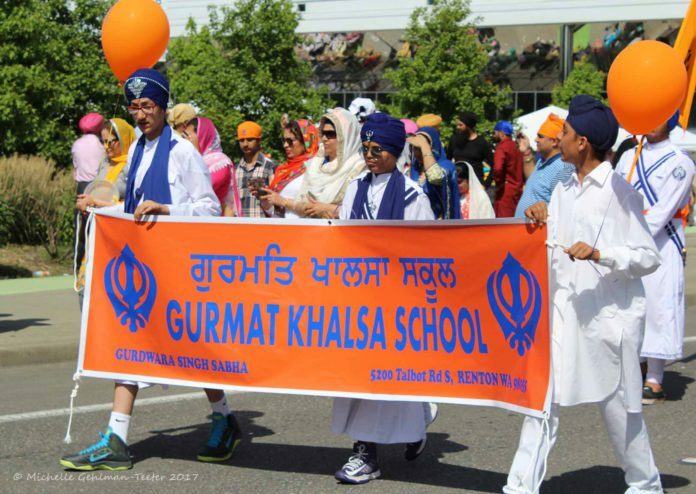 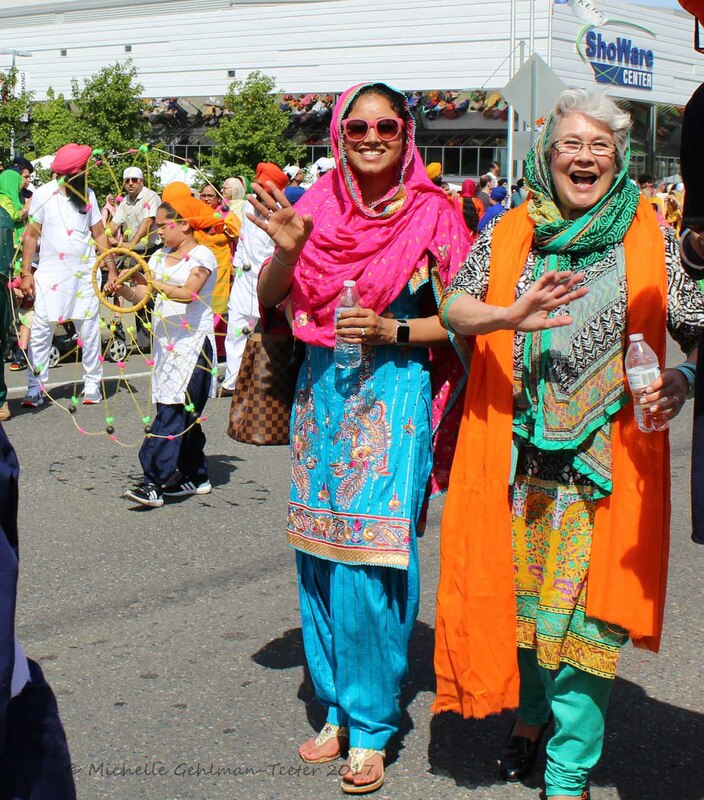 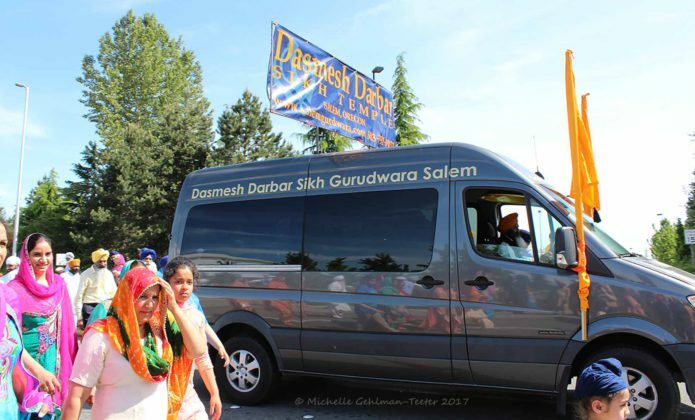 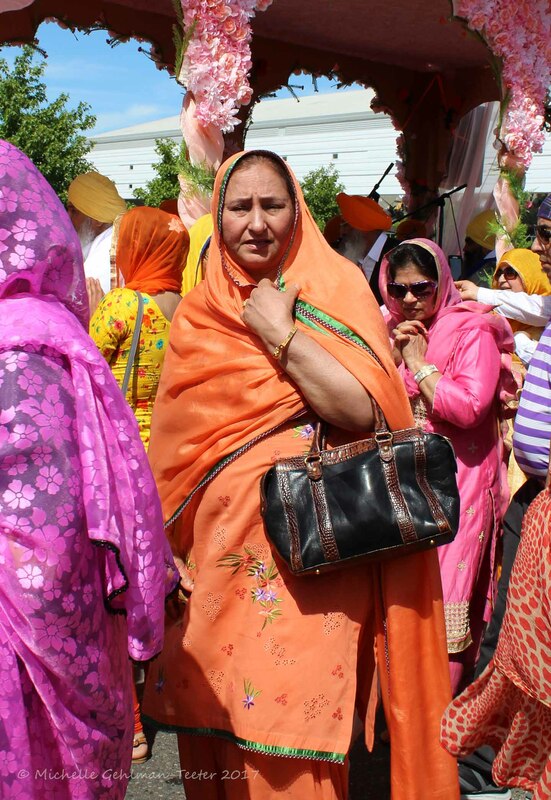 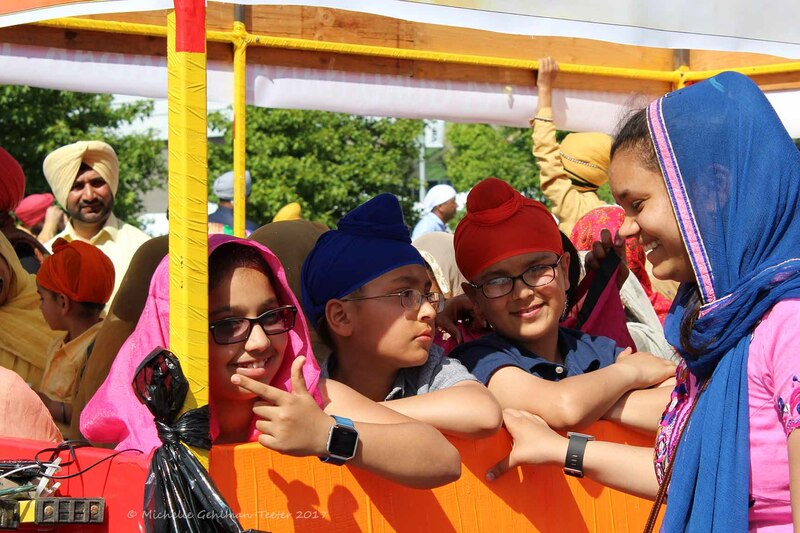 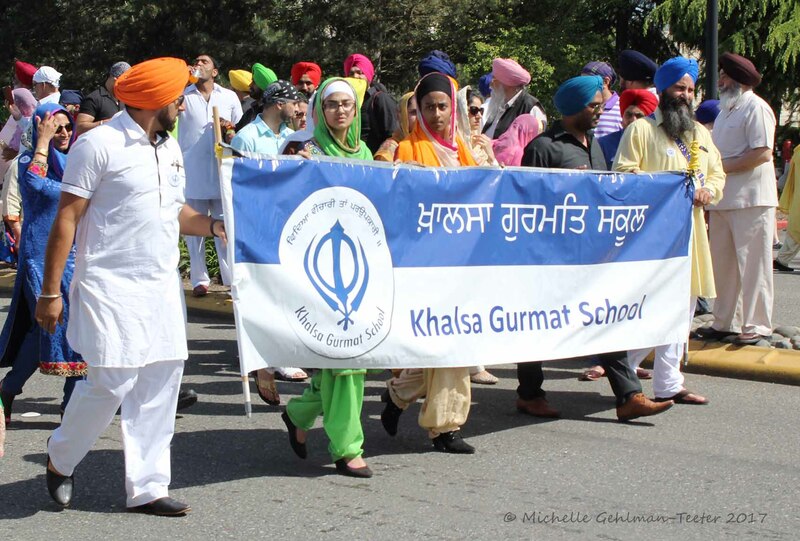 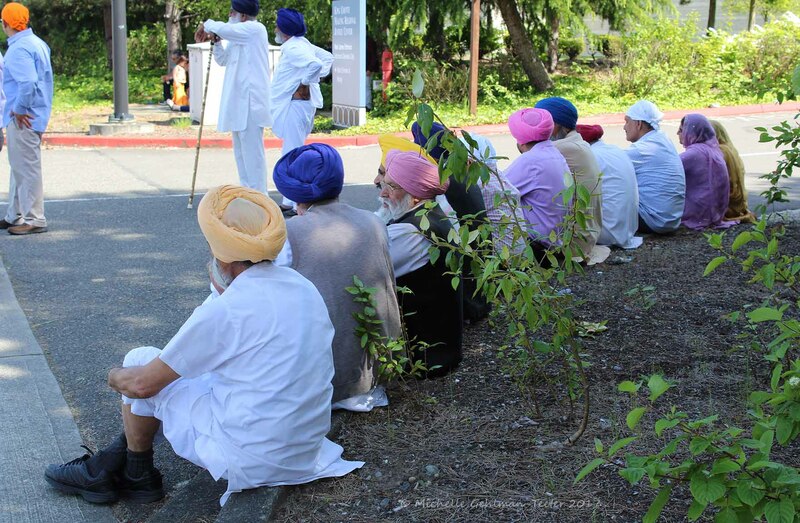 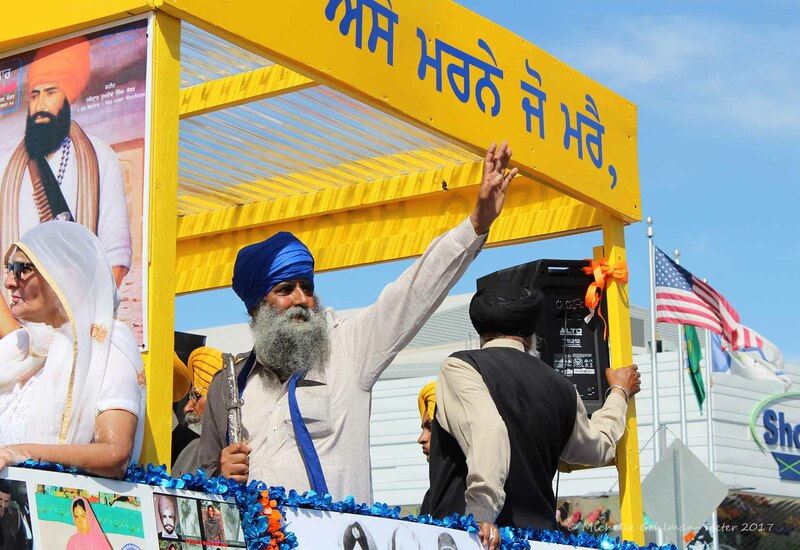 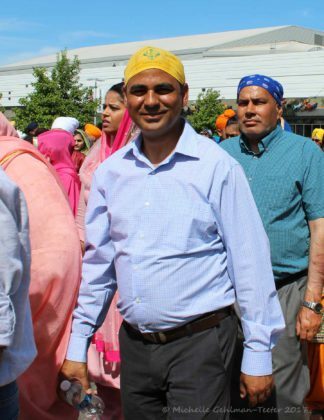 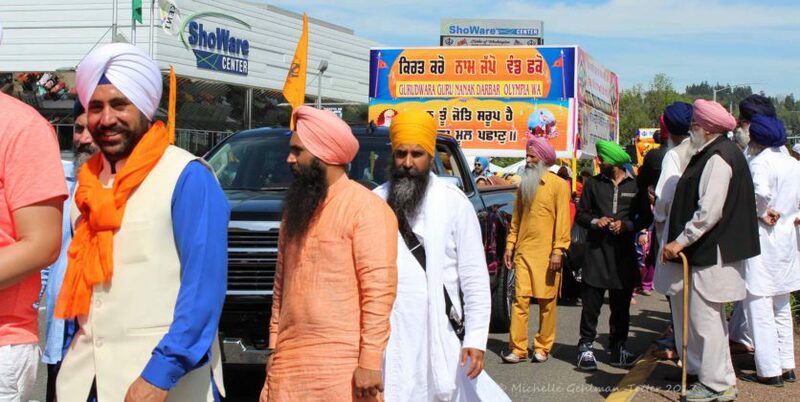 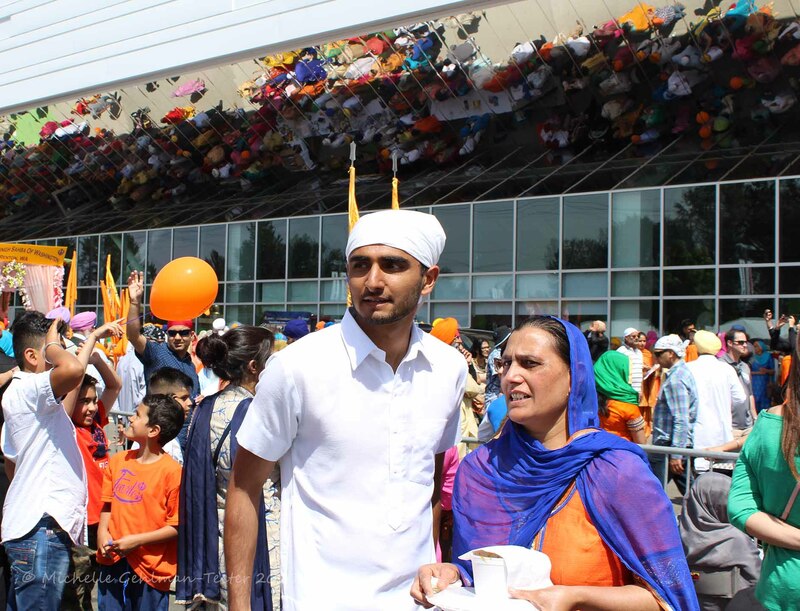 Kent had it’s 10th Annual Khalsa Day Parade on May 21 at ShoWare Center. 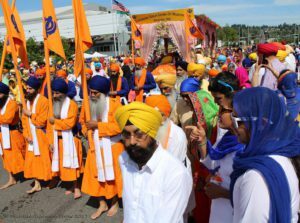 There were a sea of brightly dressed Sikhs celebrating the founding of their community known as the Khalsa. 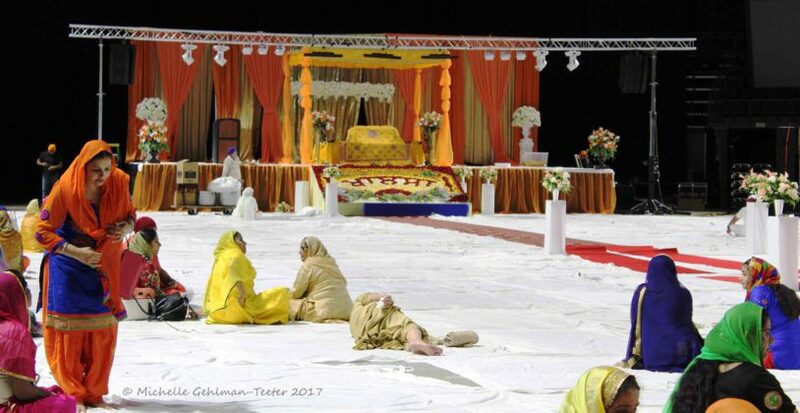 It’s very important to the Sikh community to dedicate their lives to the service of others, and with the 50,000 Sikhs residing in Kent and Renton, that’s a lot of community service being done. 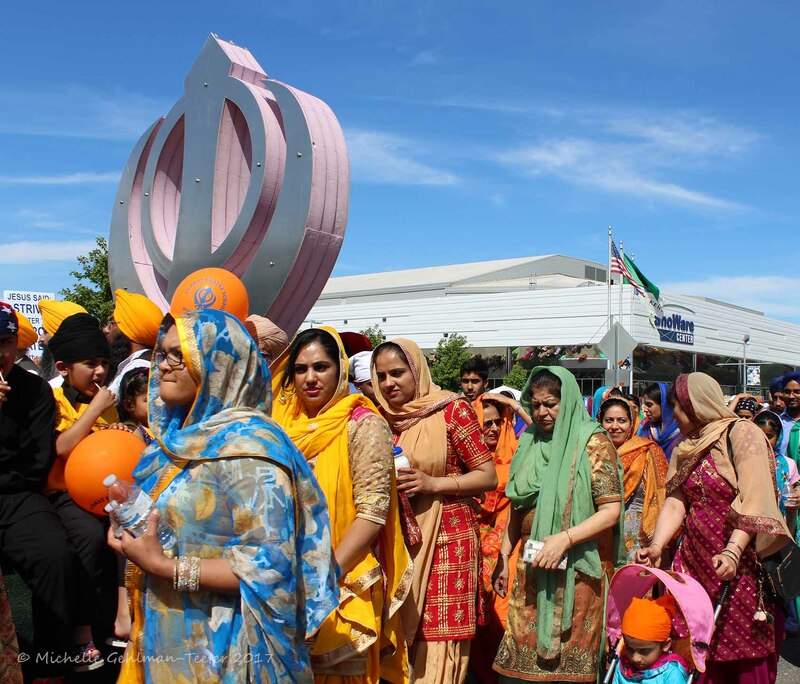 Thousands turned up for the celebration on Sunday. 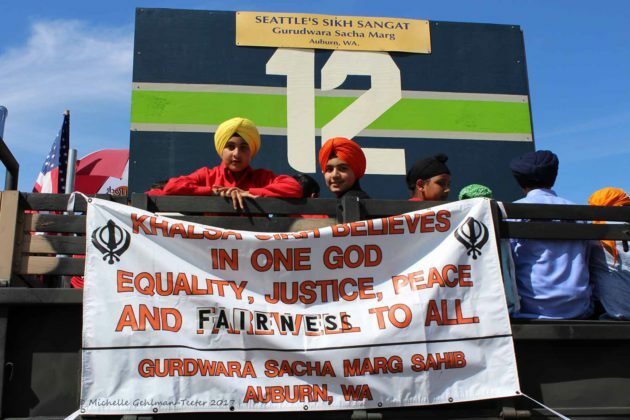 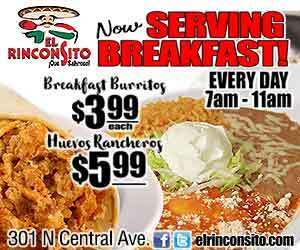 Everyone shared in food, music and prayer before the parade. Called the Nagar Kirtan, the parade is a Sikh custom which involves a processional singing holy hymns throughout a community. 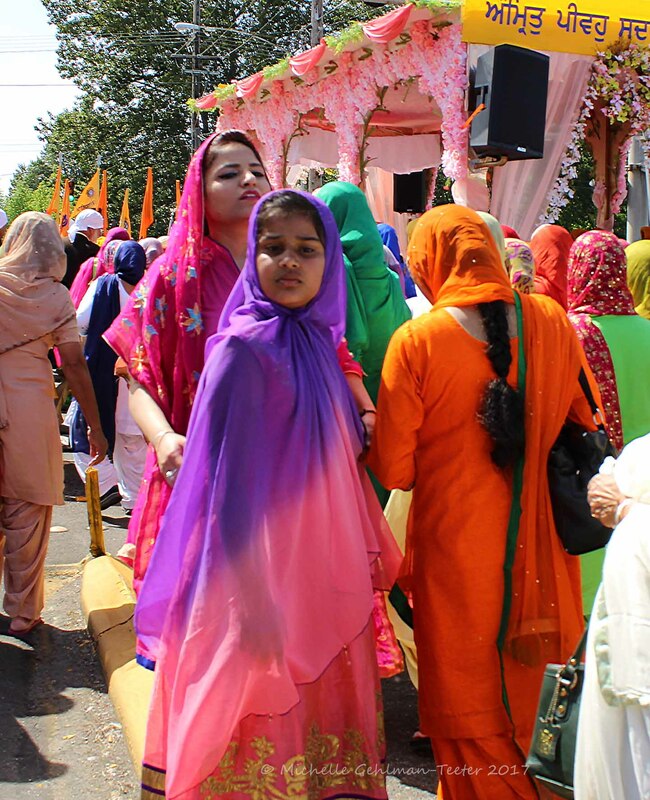 Many cover their heads, wear the color orange and bow their heads to the holy scripture which is placed on a float. 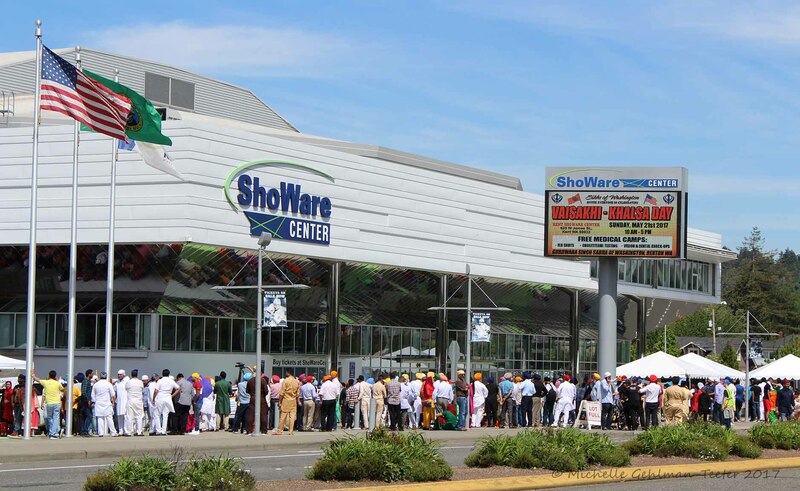 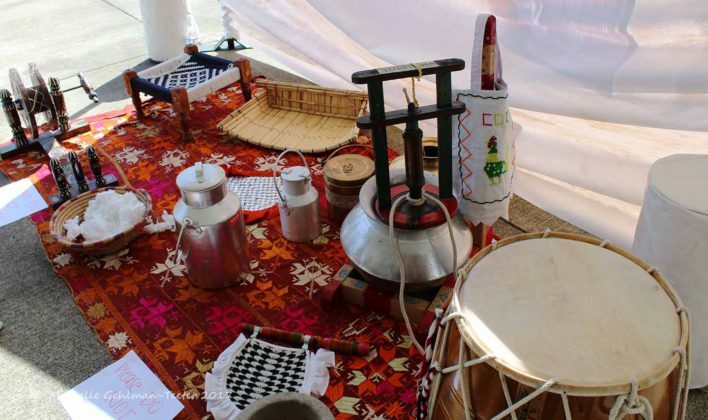 Also at the Showare Center were exhibits showing contributions of Sikhs and demonstrations of Gatka, a type of martial training. The parade was a moving experience with thousands of people walking along the flower-covered floats and singing prayers. Some were solemn, some laughing, all dressed in bright colors and enjoying being together as a community.